Dr. Aron is the author of the best selling books, The Highly Sensitive Person, The Highly Sensitive Child, and The Highly Sensitive Person in Love as well as a quarterly newsletter since 1996 (see hsperson.com) with thousands of subscribers. She graduated Phi Beta Kappa from the University of California, earned her M.A. from York University in Toronto in clinical psychology and her Ph.D. at Pacifica Graduate Institute in clinical depth psychology as well as interning at the C. G. Jung Institute in San Francisco. Besides beginning the study of the innate temperament trait of high sensitivity in 1991, she, along with her husband Dr. Arthur Aron, are two of the leading scientists studying the psychology of love and close relationships. They are also pioneers in studying both sensitivity and love using functional magnetic resonance imaging. Their work on what happens in the brain when we feel love or power has appeared in the New York Times, Time Magazine, National Geographic, and the PBS special "This Emotional Life," as well as national morning shows on many networks. 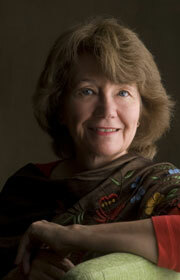 Elaine maintains a small psychotherapy practice in Mill Valley and San Francisco.